What Is a Tiling Trowel? Tiling trowels are typically flat or spade shaped, and some have serrated edges along two sides. 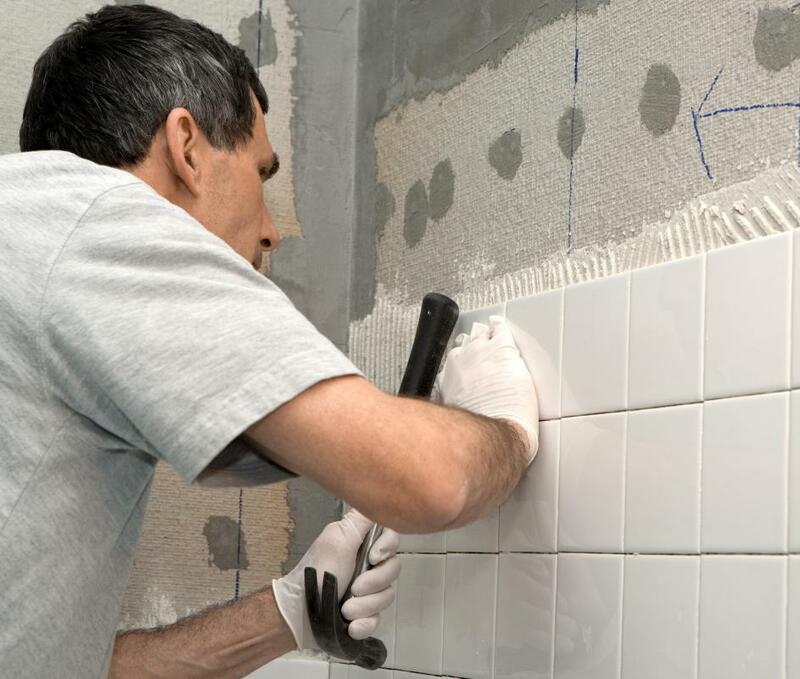 A tiling trowel is used to spread and smooth the adhesive before the tile is laid into place. A tiling trowel is a flat tool used when installing tiles. A tiling trowel is a flat or spade shaped tool used to spread adhesive compounds during a tiling project. This type of tool may be used to spread mortar, thin-set, or grout during any phase of tile installation. Different sizes and shapes of trowel are required, depending on the type of project being completed and the compound being spread. They are available for purchase through the Internet and at most local home improvement stores. There are three basic types of tiling trowel a professional installer may require while completing a project. All three styles of trowel are rectangular and flat in shape, and include a handle on the back for easy gripping while working. The notched trowel, which features square or diagonal shaped divets on two of the four sides, is used to spread the initial tile adhesive onto the work surface. A grout float trowel has a layer of foam or rubber attached to the underside of the tool, and can be used to smooth and force grout into the joints between tiles once they have been attached to the work surface. The margin trowel is narrow and straight on all four sides, and is often used to mix mortar or grout compounds, and to spread or scrape those compounds onto and off of new surfaces. The size and shape of the notched tiling trowel required for each project is dependent on the tile that will be used. Square shaped notches are recommended for use with flat surfaces, such as counter tops and floors. Diagonal shaped notches are recommended for use with upright surfaces, like walls. 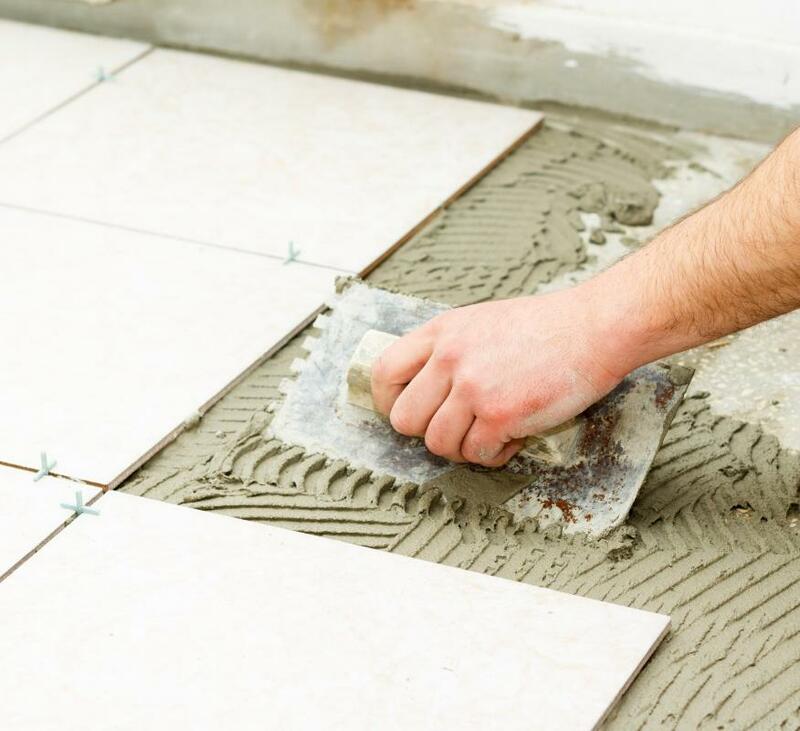 Different materials of tile require various adhesives which are spread onto the work surface in a layer, the size of which is directly related to the thickness of the tile. 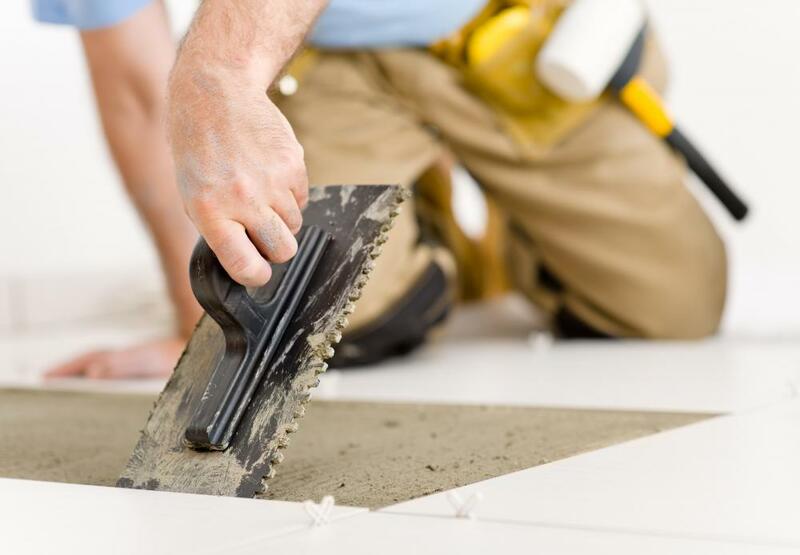 Many professional installers prefer to lay adhesive to a depth that is two-thirds that of the tile they will be laying. The size of the notches will be included on the package labeling for the trowel, and will determine the depth of the adhesive. An outdoor tiling trowel is typically spade shaped, and features a lower handle that extends away from the working end of the tool. This design allows heavier mortar to be lifted and slapped into place by the installer. The flat underside of the tool may then be used to spread the mortar material evenly across the stone or brick project surface. How Do I Choose the Best Concrete Trowel? How do I Install Ceramic Tile?